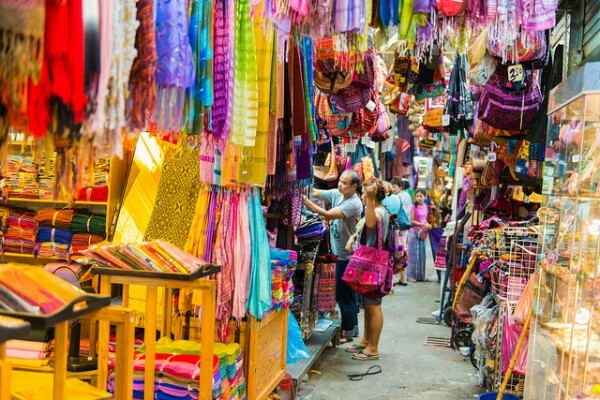 If ever a place could be described as a “Shopper’s Paradise” then bustling Bangkok certainly fits the bill! From high end haute couture designer shops where you have to ring the doorbell to enter to exotic street markets selling every type of product and souvenir imaginable the city has it all, and with our spacious rooms and suites and ideal locations a Chatrium property is the perfect sanctuary to sort through your purchases and take a well-deserved rest after shopping ‘til you drop. 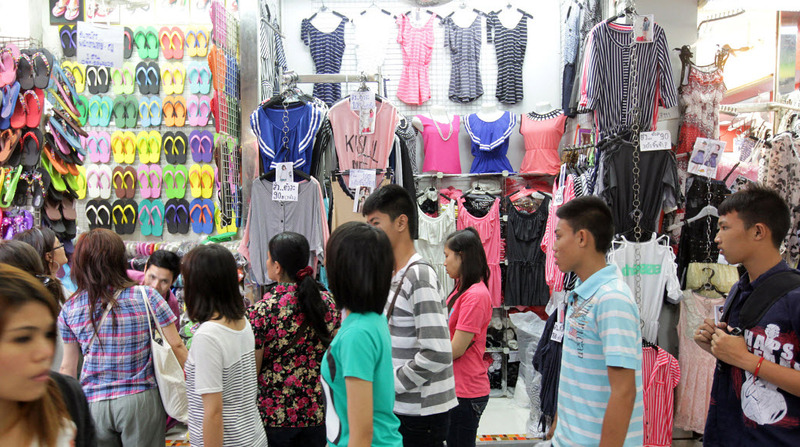 Here are some of Bangkok’s can’t miss experiences for the serious souvenir shopper with some mega bargains to be had. 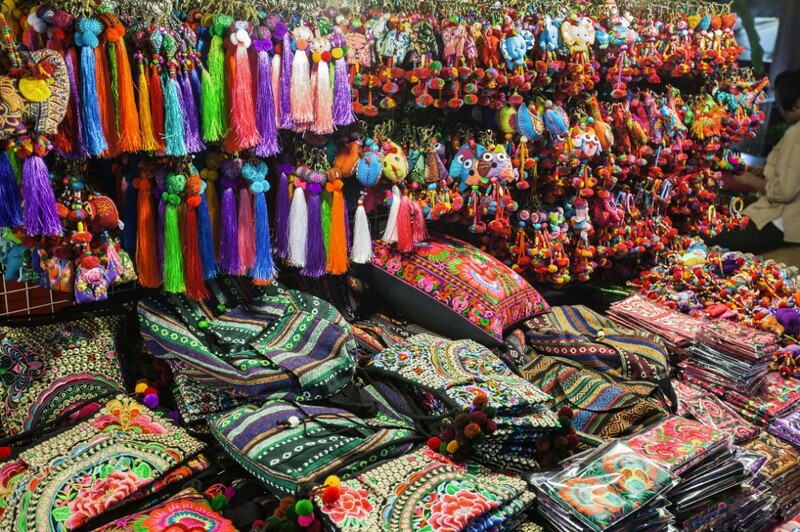 With more than 15,000 stalls selling everything under the sun the world-famous Chatuchak is the biggest weekend market in the world. If you can’t find it at Chatuchak then it probably doesn’t exist! Every type of Thai souvenir is available at giveaway prices including delightful Thai silk scarves, shawls and pillow cases, wooden carvings, fragrant incense, ornate jewellery, original artwork and paintings, vases, wooden boxes, Buddha statues and ceramic ware to name but a few items that are on sale and the vendors are always willing to indulge in a bit of friendly haggling. One day simply isn’t enough to explore this massive area! Next to Mo Chit BTS sky train station and Kampaeng Phet MRT underground station. Open mainly on Friday evenings and all day Saturdays and Sundays. 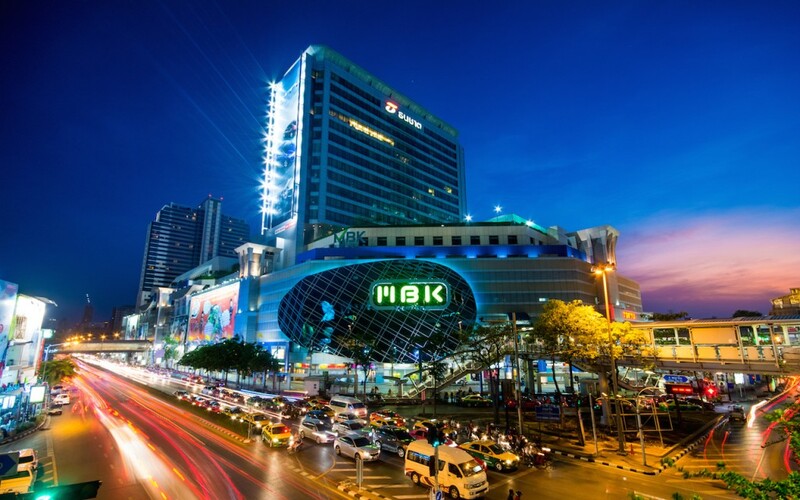 Bangkok’s bargain hunters know to head to MBK where the price is always right as it’s one of the cheapest shopping malls in the metropolis. The seventh floor Thai handicrafts section is the place to aim for with an unrivalled choice of Thai silk, wooden handicrafts, lacquerware, handmade candles and paper products including lamps, bags, purses and flowers, jewellery and gorgeous Buddha statues plus the other floors are jam-packed with everything from up to the minute fashion to a new custom iPhone case all at prices that can’t be missed. Open every day 10 a.m. to 10 p.m. Next to the National Stadium BTS sky train station. 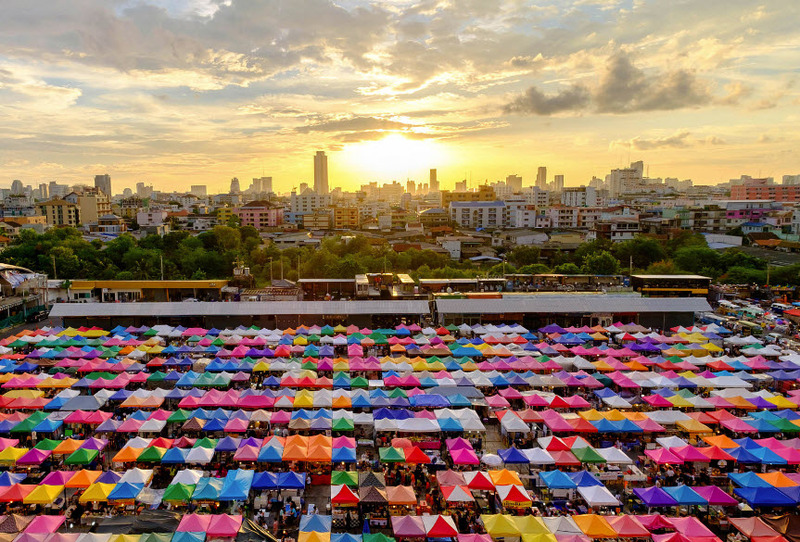 Bangkok’s most famous night market and a virtual heaven for fans of everything retro and “in” with its massive selection of unusual Thai antiques, Thai kitsch from the 70’s and 80’s, Thai T-shirts, new and second-hand clothing, handbags and even old car parts and radios. There’s a full on party vibe and if you’re feeling a bit peckish during your shopping frenzy there’s plenty of delicious fresh food and drink stalls. Tuesday to Sunday evenings from 5 p.m. to 1 a.m. near the Thailand Cultural Center MRT underground station. 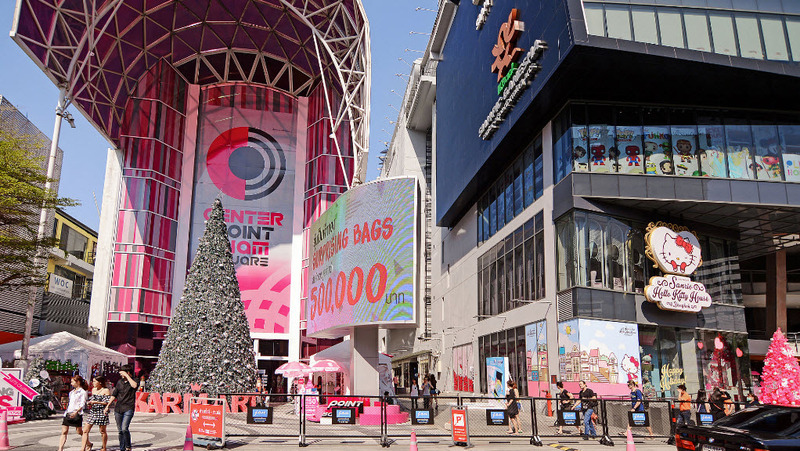 To Bangkok’s hipsters, teens, tweens and young adults Siam Square is a shopping Mecca with its vast array of shopping malls and small designer boutiques offering cheap souvenirs at bargain prices. Join the local in-crowd and enter shopping nirvana with the vast selection of clothing, shoes, T-shirts hats, bags, purses, jewellery, CDs, DVDs, posters and hand-painted items by local Thai artists and university students. Plus the superlative shopping supercentres of the Siam Center, Siam Discovery and Siam Paragon are a stone’s throw away. Next to Siam BTS sky train station opposite Siam Paragon and Siam Discovery malls. Put your bargaining hat on and get ready for a good old-fashioned haggle at Pratunam Market, an indoor and outdoor mega shopping experience that’s not to be missed. As you wander the myriad of alleys and streets around Pratunam you’ll come across a mind-boggling selection of stalls selling clothes, shoes, jewellery, handbags, purses, sunglasses and much, much more at super low bargain basement or wholesale prices when you can’t resist buying just one little black party dress. Just a short walk from Chit Lom BTS sky train station and open every day from 7 a.m. to 7 p.m. When staying at Chatrium Hotel Riverside Bangkok, simply take the complimentary Chatrium shuttle boat to Sathorn Pier where you can take the BTS sky train to any station on the network and the destinations we mentioned above. Chatrium Residence Sathorn Bangkok makes your trip simplicity itself with a daily shuttle van from the hotel to the BTS sky train at Chong Nonsi Station. You can easily take the sky train to your desired destination located around the sky train stations. Emporium Suites by Chatrium is close to the BTS sky train at Phrom Phong Station and is regarded as one of Bangkok’s most prestigious addresses making it perfect to hit the shops along the BTS line while staying here. Maitria Hotel Sukhumvit 18 – A Chatrium Collection is so convenient for the shopaholics as its located in the downtown district and just a 5-minute walk to the BTS sky train at Asoke Station and MRT underground at Sukhumvit Station.